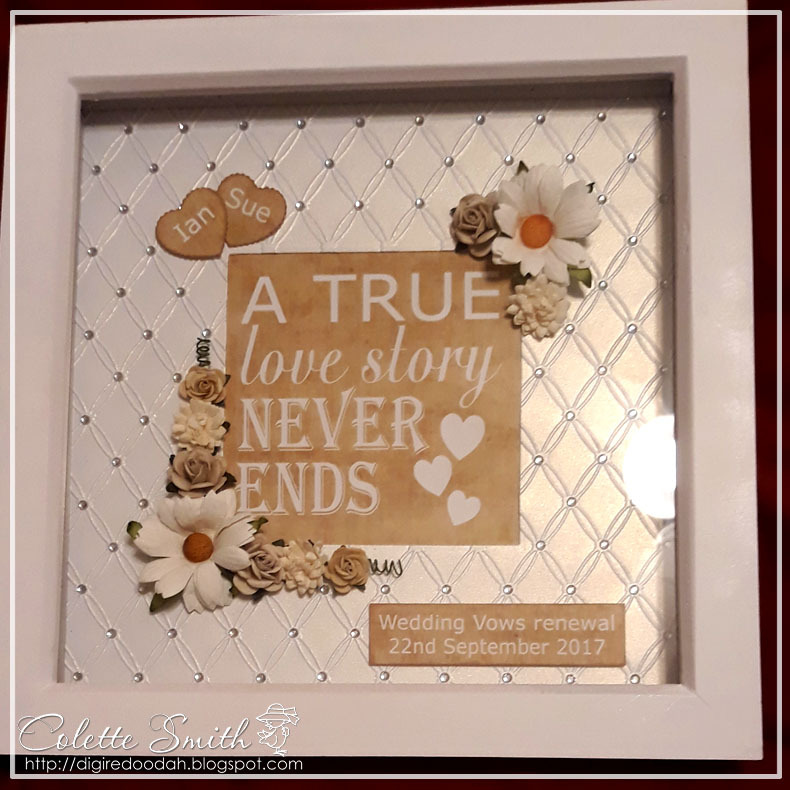 Today I thought I would show you a couple of box photo frames I have made over the last couple of weeks, one for my daughters friends new baby and the other for a friend of mine who was renewing her wedding vows. 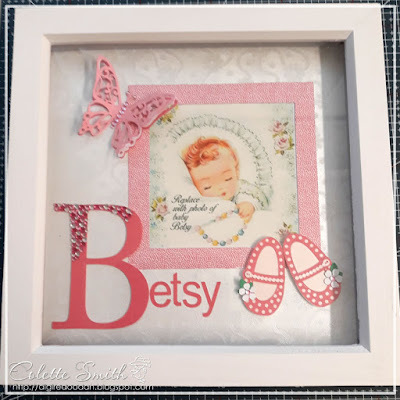 All the embellishments were cut with my Silhouette machine, I then decorated the top corner of the initial with lots of Meiflower stick on gems and pearls, and added gems down the butterfly body and in the centres of the flowers on the shoes. 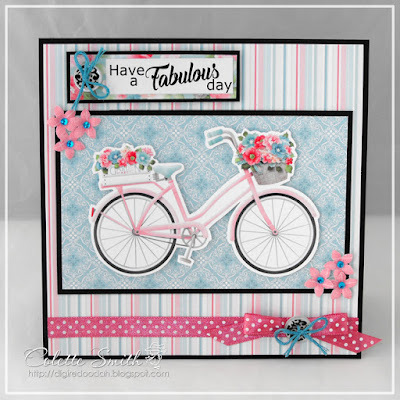 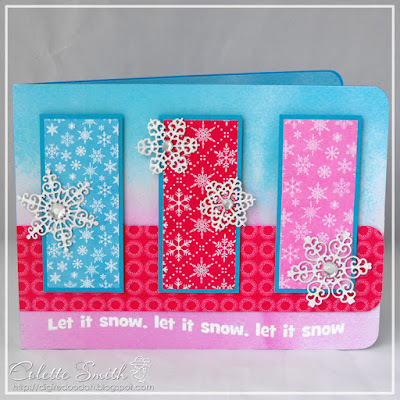 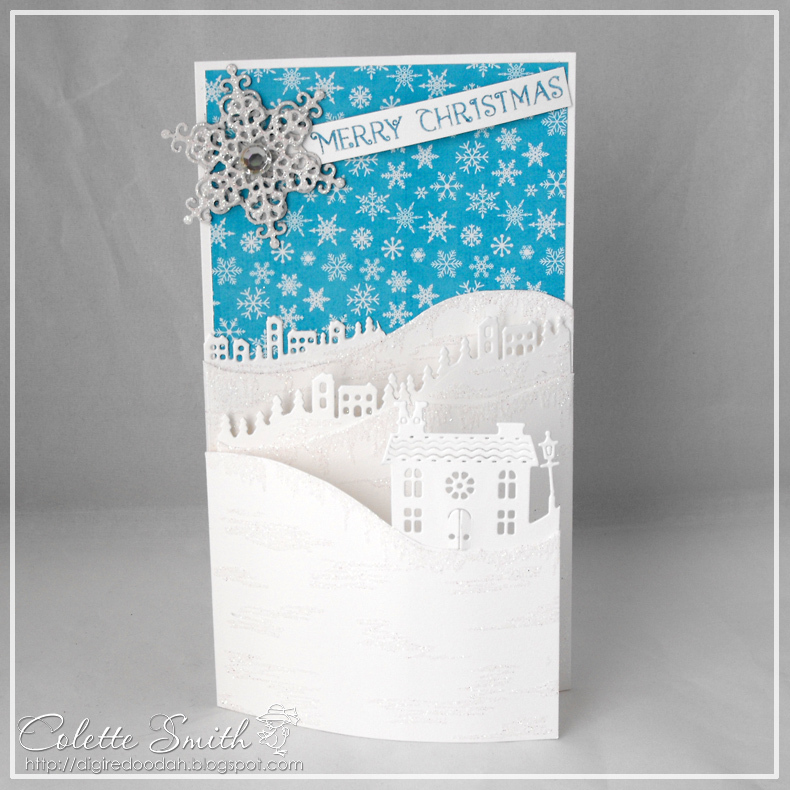 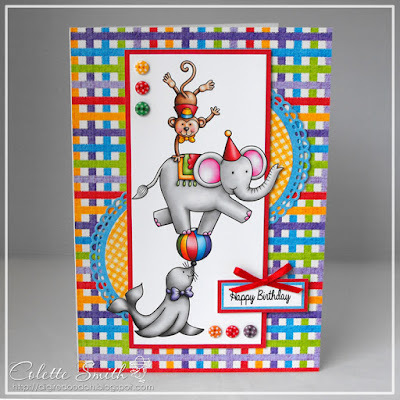 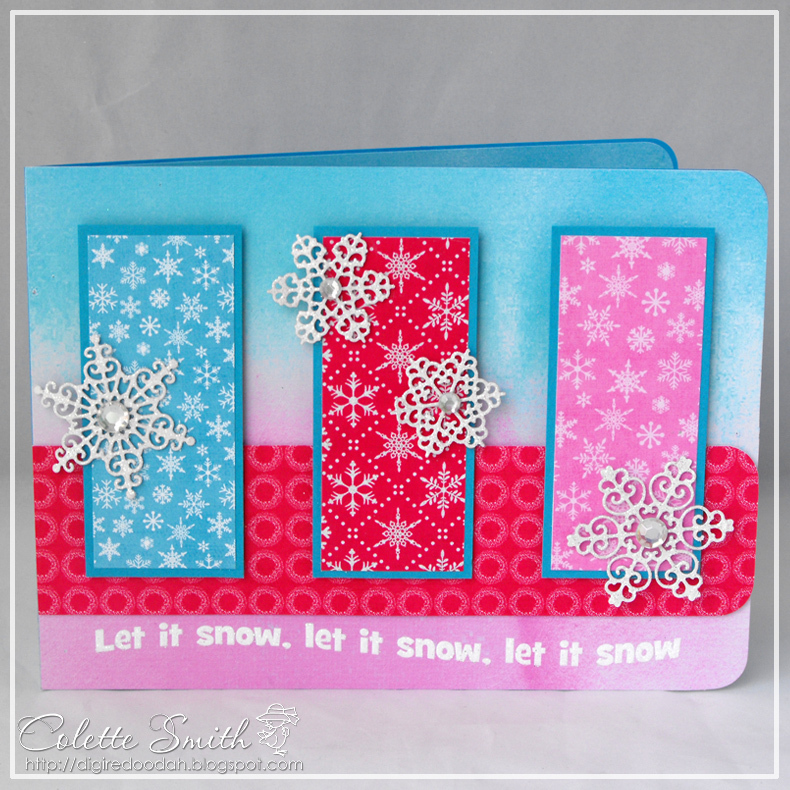 With this one, after embossing the white pearl card with the Couture Creations Tied Together embossing folder I added small AB stick on gems wherever the lines crossed. 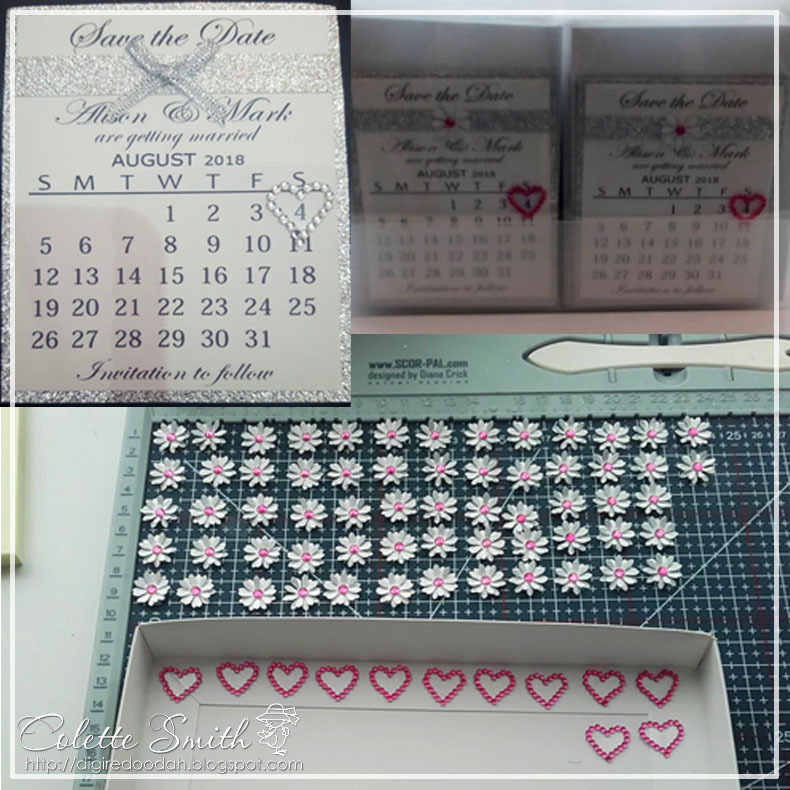 I've had a busy couple of months making wedding stationery, going on holiday and doing lots of bits and bobs, which has meant the blog has been a little bit neglected, but I am finally getting a bit of time to get back to it. 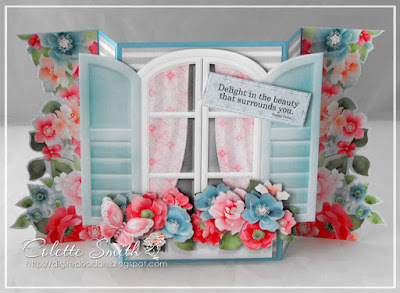 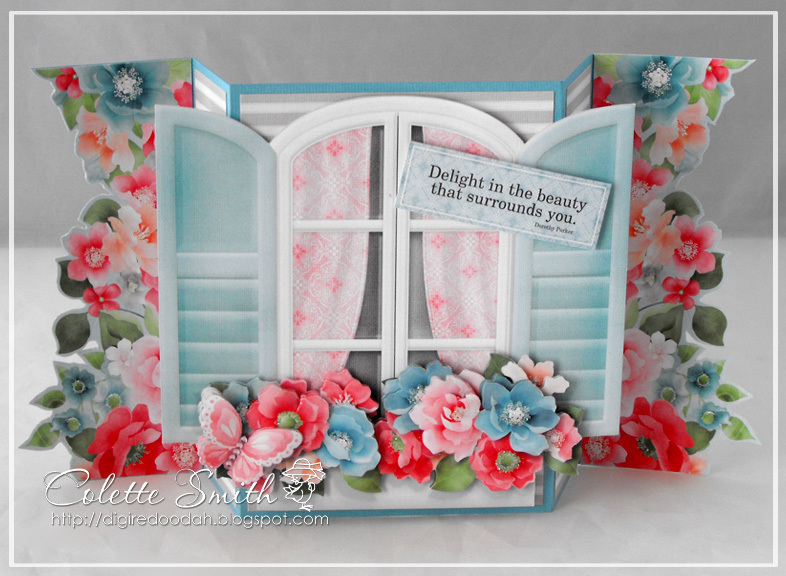 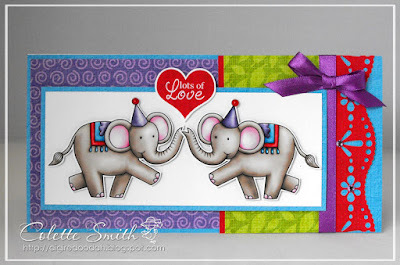 Today I have a couple of cards to show you from a magazine commission I did for Papercraft Essentials issue 152 which came out on 19th October, yes, I am a just a little bit late in posting them LOL!. 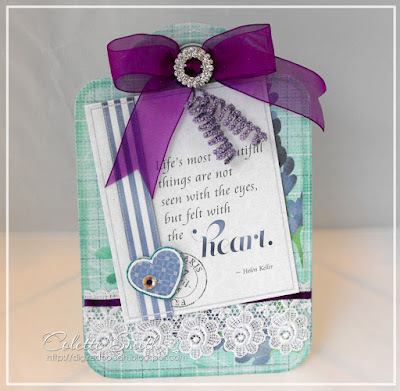 I used the fabulous Nitwits Lavender collection and didn't really add much in the way of extra embellishments, just a little ribbon and bling. 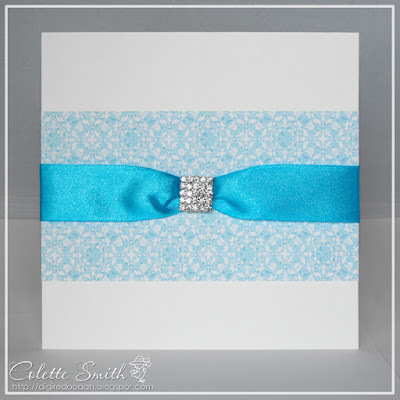 I added some 5mm satin ribbon and a gorgeous Meiflower ribbon buckle to this one. Black stick on gems in different sizes finished off the body of the butterfly beautifully. and here I added gems to the digital gems that were already printed on the embellishments. 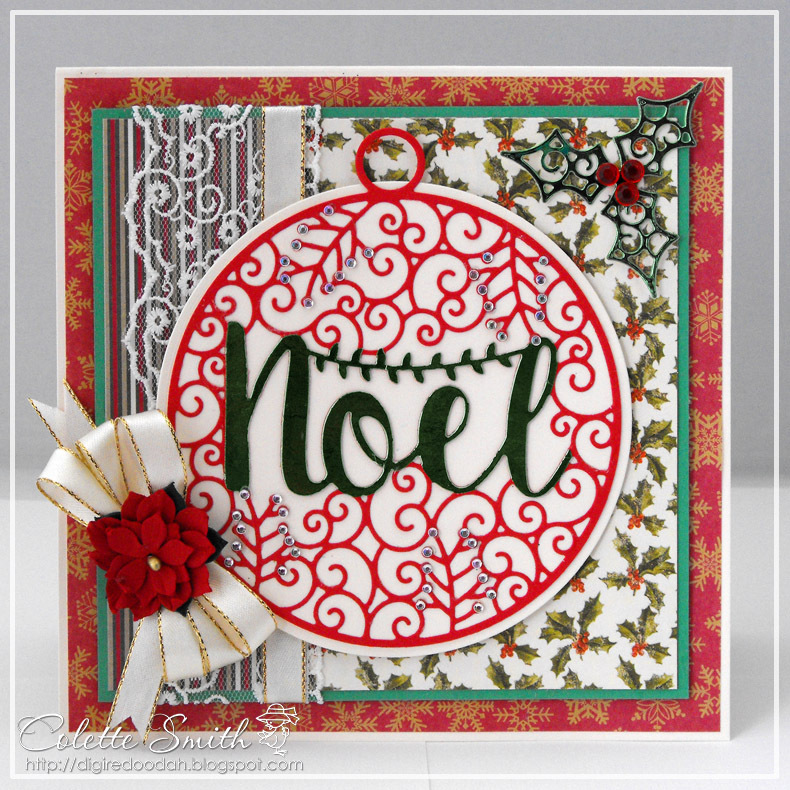 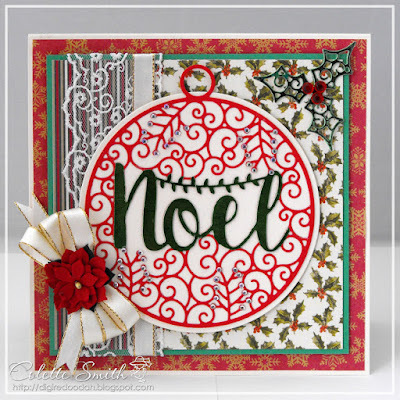 Here are a few cards from my commission for Simply Cards and Papercraft issue 166 using the Hobbycraft Intricut dies and Dovecraft The Magic of Christmas paper packs. 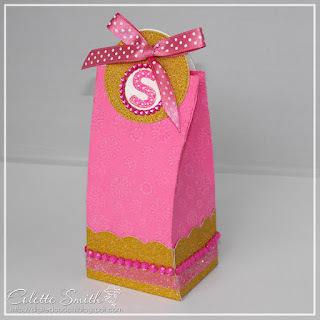 A bag and a box. 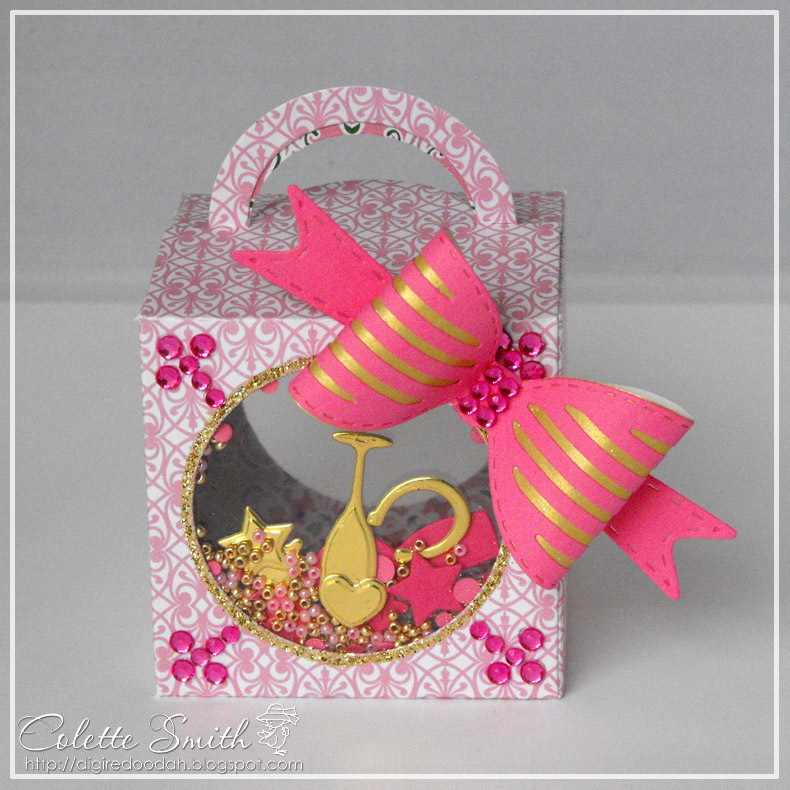 Here is the last bag from the die cutting essentials commission, I added a strip of Meiflower double sided tape around the middle of the gold glitter section and covered it with pink glitter before adding a row of barbie pink stick on gems all around. In the latest issue (27) of Die Cutting Essentials I have a selection of gift bags and boxes using Creative dies plus gift box collection, fancy bows die set and tags and windows die set. 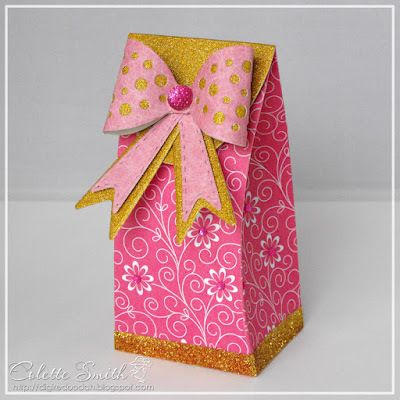 The brief was Pink, Gold and Bling! Here are the remaining two cards from my Simply cards commission, and don't forget if you like the background papers that I made you can download them for free from HERE. 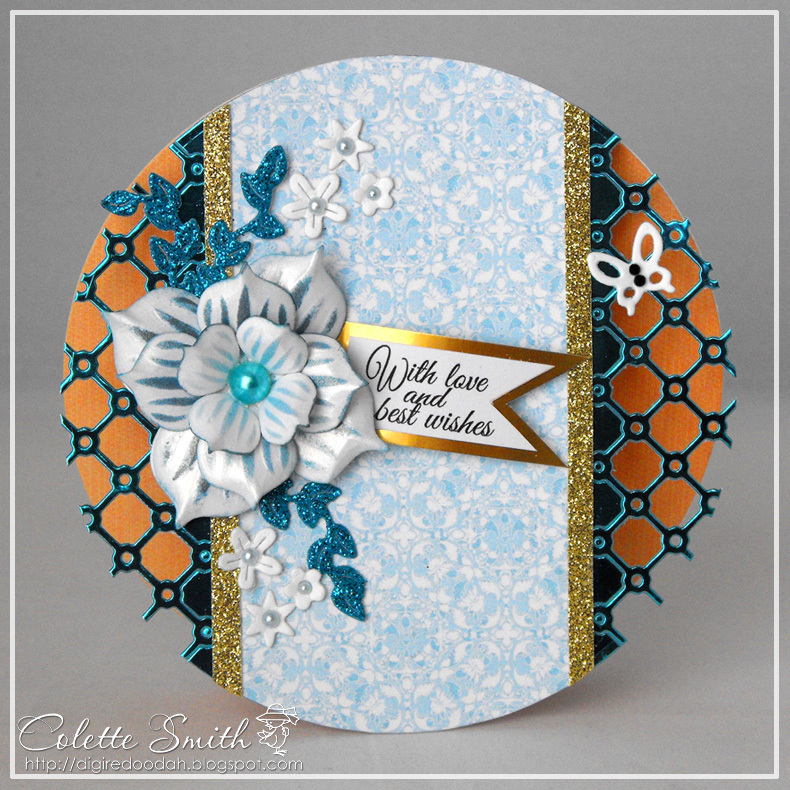 For this card I used Meiflower gingham ribbon and waxed cord. On this one I added Meiflowers cute little polka dot buttons. 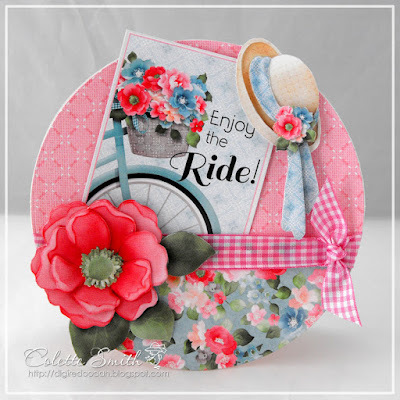 I made some cards for the Apple Blossom summer special using the kit that came free with the magazine which included stamps, dies and papers amongst other things. These two were both finished off with different sized Meiflower stick on gems. Here are a couple of cards made for Simply cards and Papercraft which arrived in the shops on 13th July. 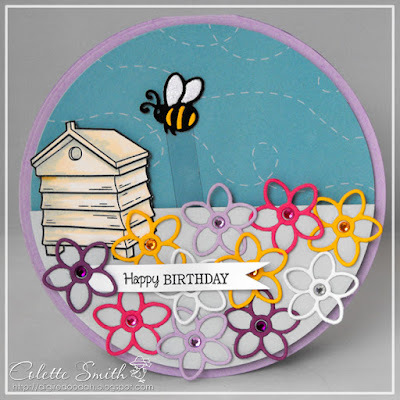 I got to play with some Kate Hadfield digi stamps and I also made some matching papers which you can download for free from HERE. I have used grosgrain ribbon and the bunting is hanging from Meiflower waxed cord. 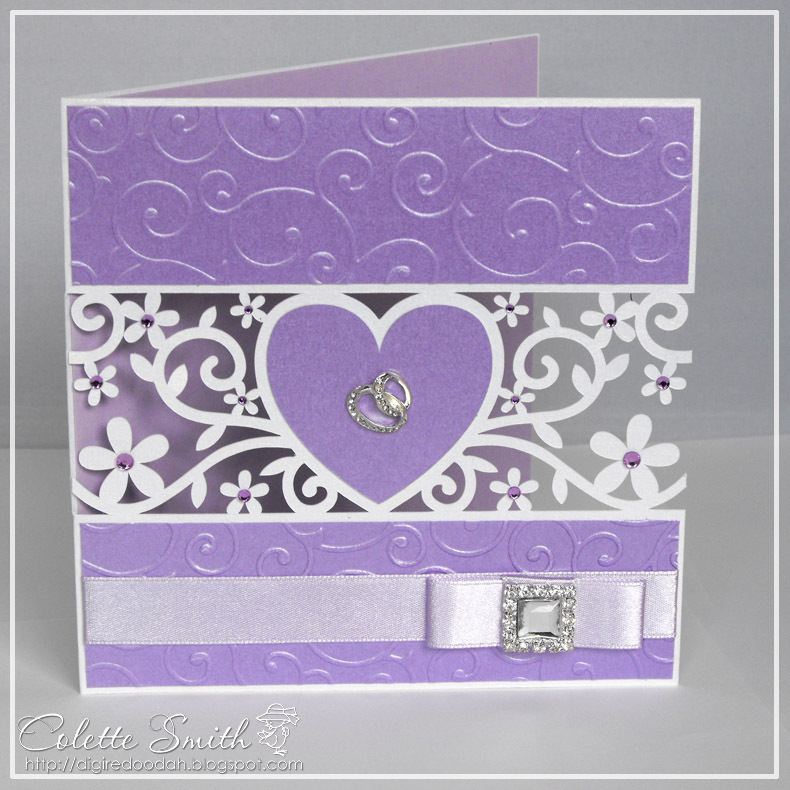 The gorgeous purple satin ribbon and matching purple gems are also from Meiflower. 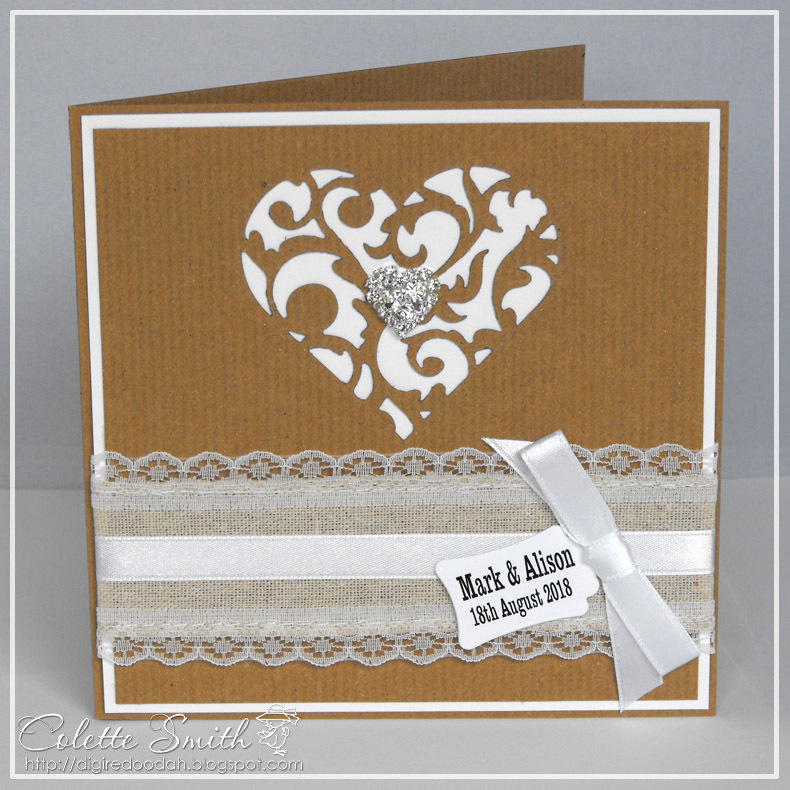 Here are the last two wedding invitation samples I did for Meiflower. 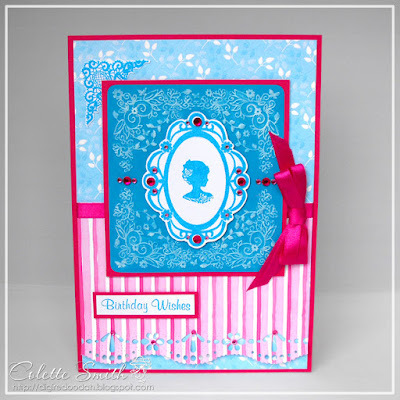 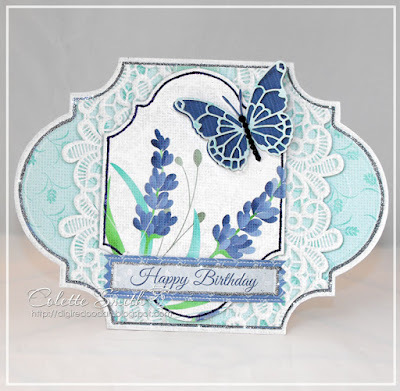 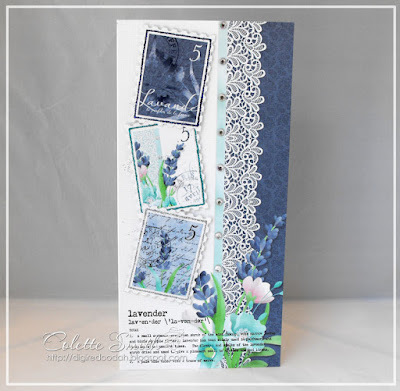 For this one I cut the filigree design on my Silhouette machine from white card, then added embossed Lilac Centura pearl panels top and bottom using the Cuttlebug D'vine swirls embossing folder. 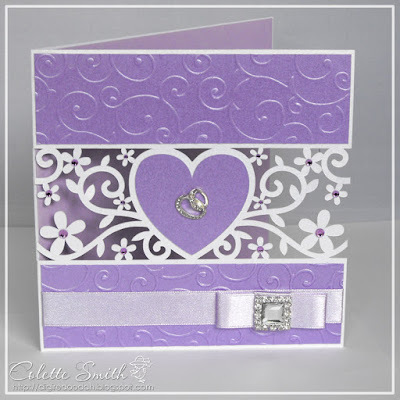 I added lilac stick on gems in various sizes to the flower centres, a pair of diamante wedding rings to the heart and a crystal diamante square to the bow. 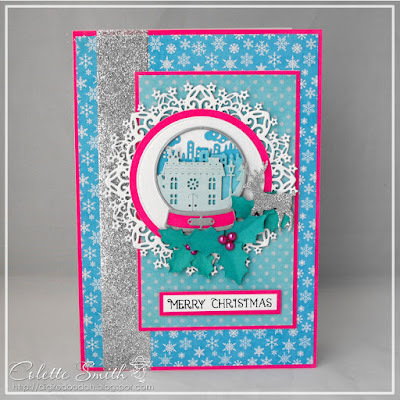 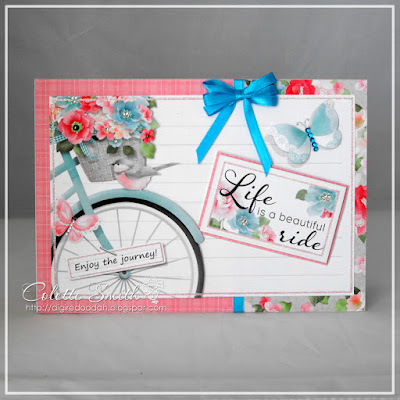 The background on this one is a Nitwits paper from my scrap box, the tag was made with JoyCrafts labels and tags 6002/0144 using Centura pink pearl card for the background. 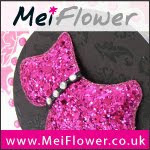 the 25mm ribbon and double D diamante buckles are from Meiflower. That's it for the wedding invitation samples for this year. 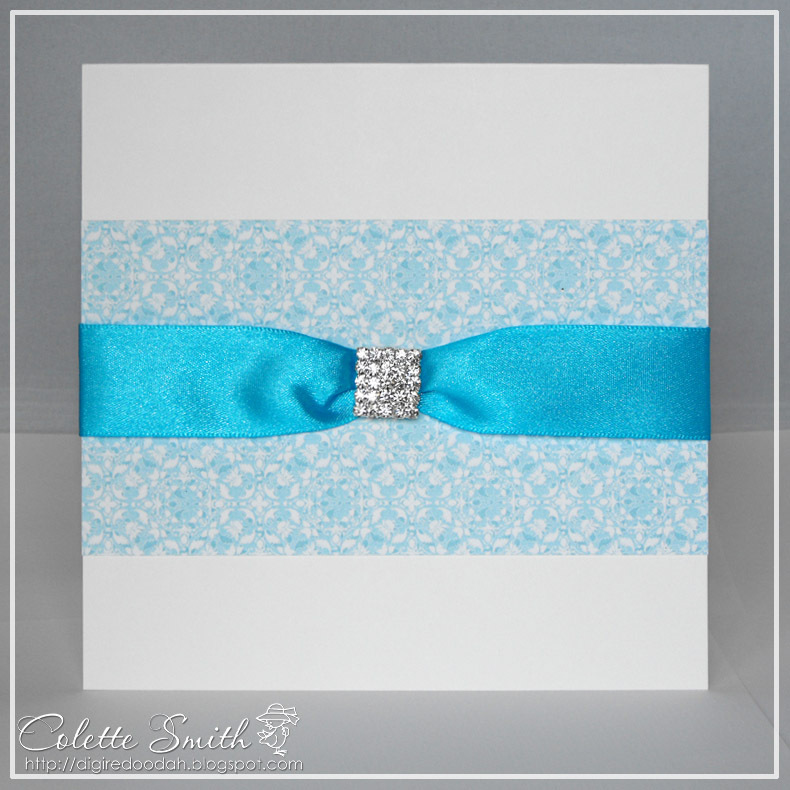 A couple more of the wedding invitation samples I did for Meiflower. 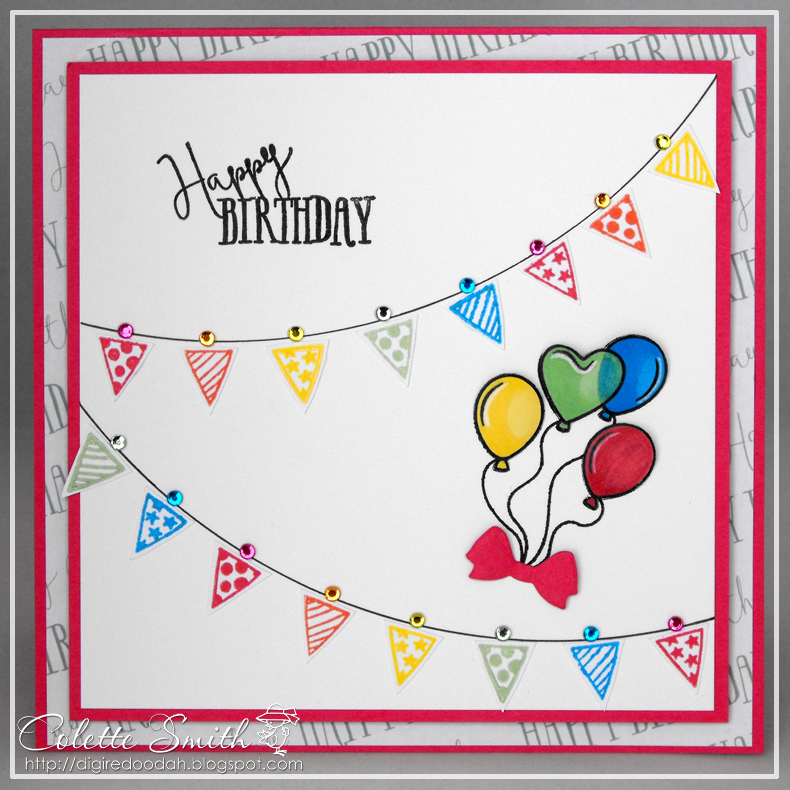 I did 8 in total so only 2 more to post after these. 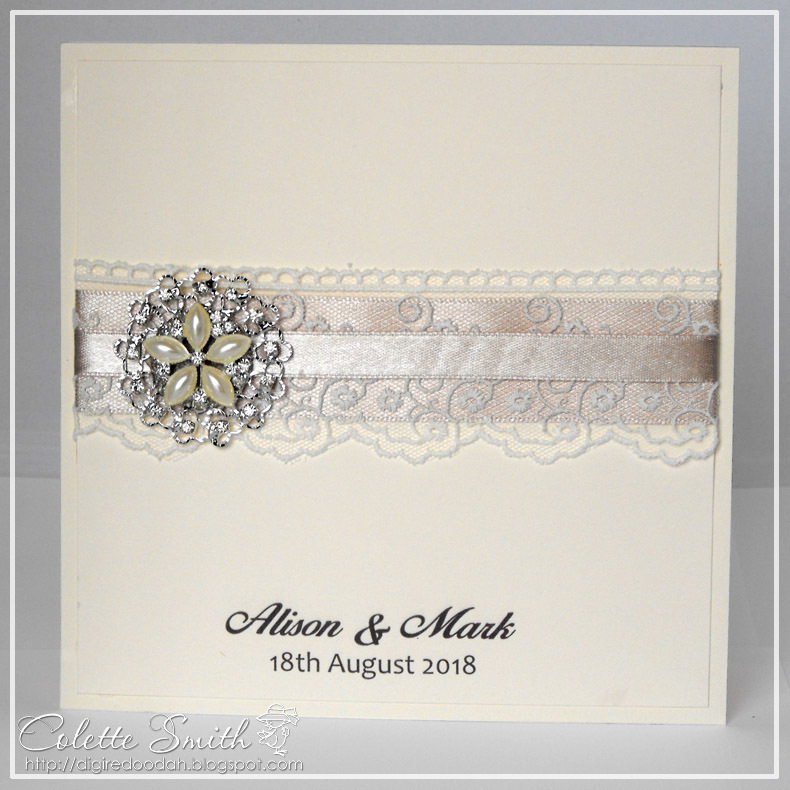 I used 25mm satin ribbon under the lace which I bought locally, and the matching 10mm over, I also mounted the pearl flower embellishment over the lace diamante buckle to make a combined topper. 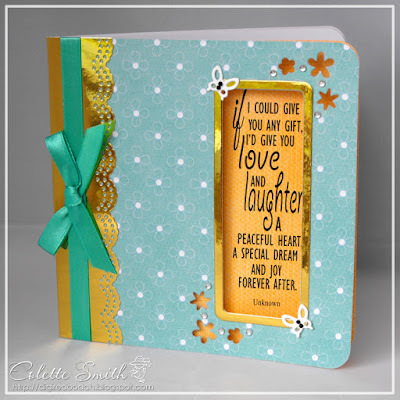 For this one I cut the filigree heart from the kraft card before layering over cream card, the die is from the Forever in my Heart signature collection at Crafters Companion. 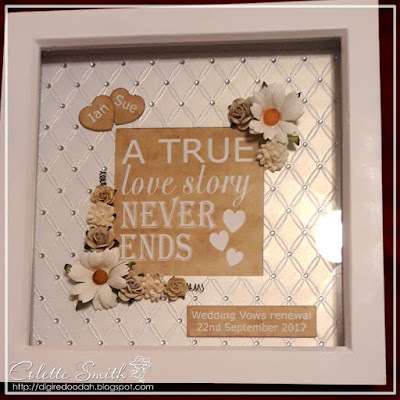 I think the burlap and lace ribbon was from Home Bargains, as usual the satin ribbon and diamante heart embellishment are from Meiflower. 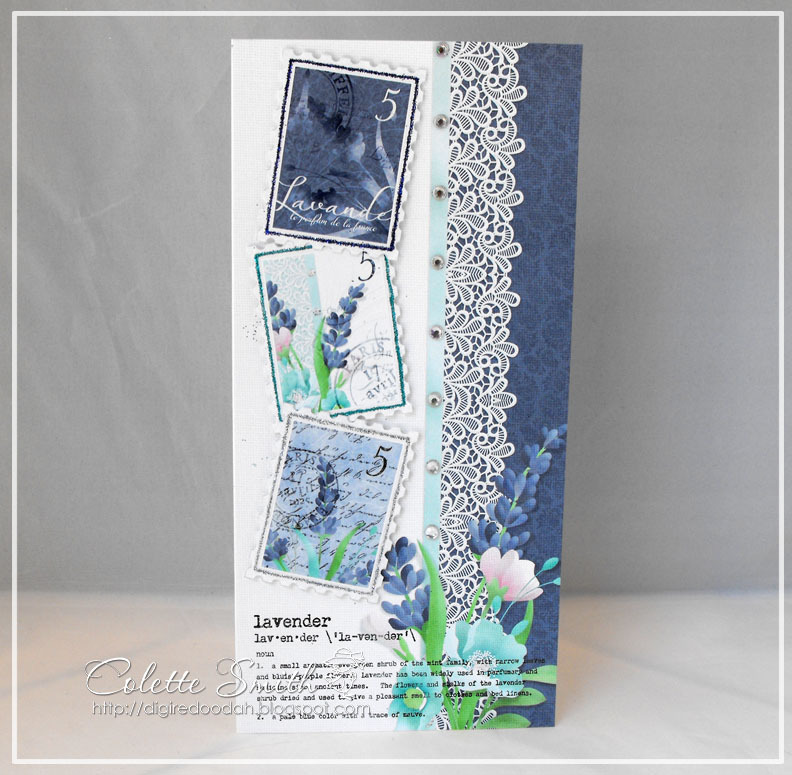 A couple more of the samples I did for Meiflower. 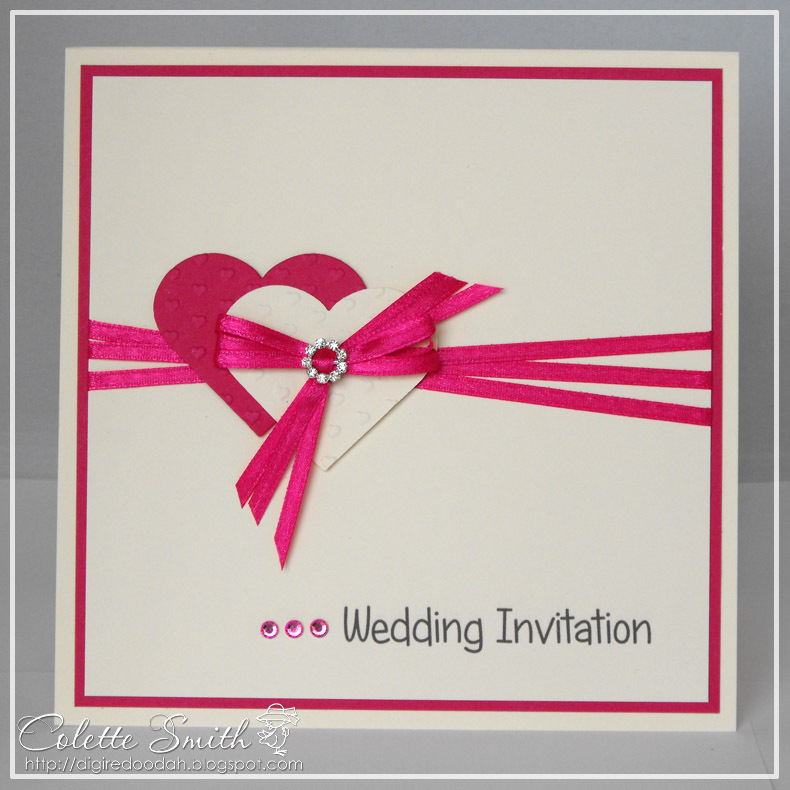 This is a very simple design with plenty of space above and below to add names, dates etc. 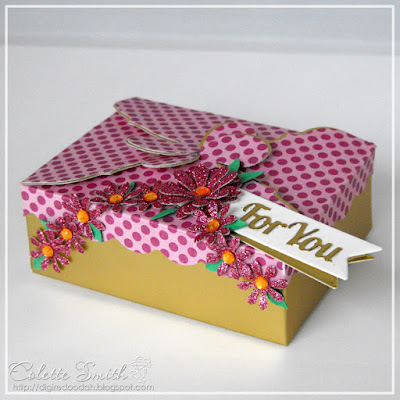 The paper is from Nitwits, but not sure which collection as it was in my scrap box. 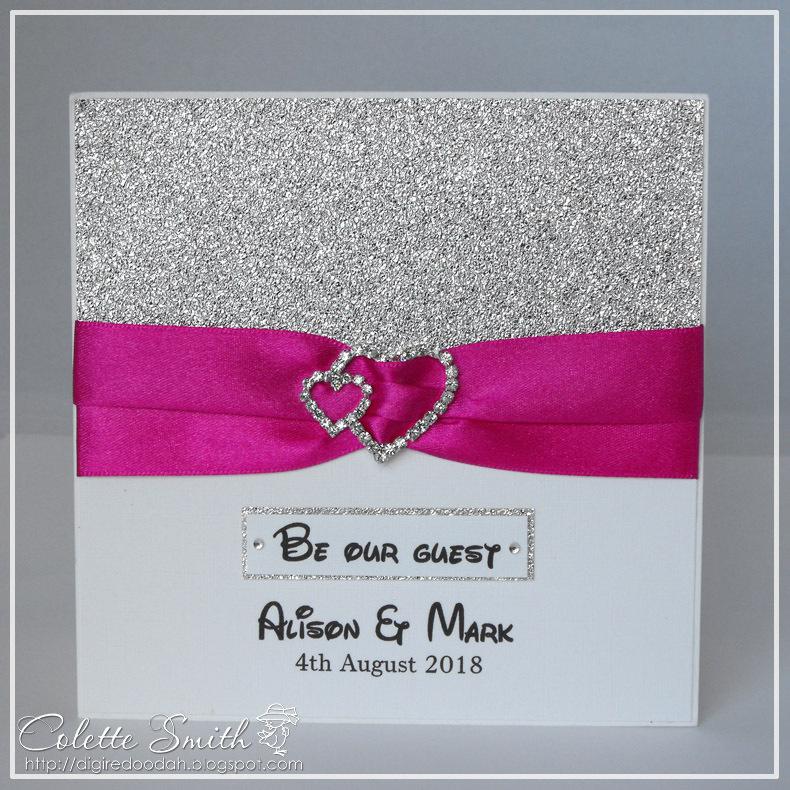 Hearts were cut with a Sizzix heart die, the cerise heart was then embossed, the 4mm satin ribbon, barbie pink gems and tiny circle buckle are all from Meiflower. 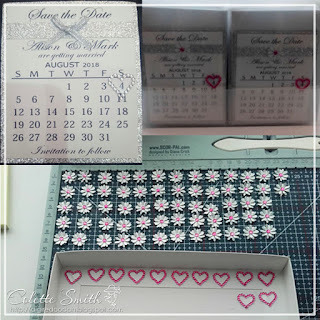 Every year I make Meiflower some wedding invitation samples using her gems, pearls, ribbons and diamante embellishments, and I normally blog them much earlier in the year, but this year, even though the samples have been made for some months I am only just getting around to posting them. 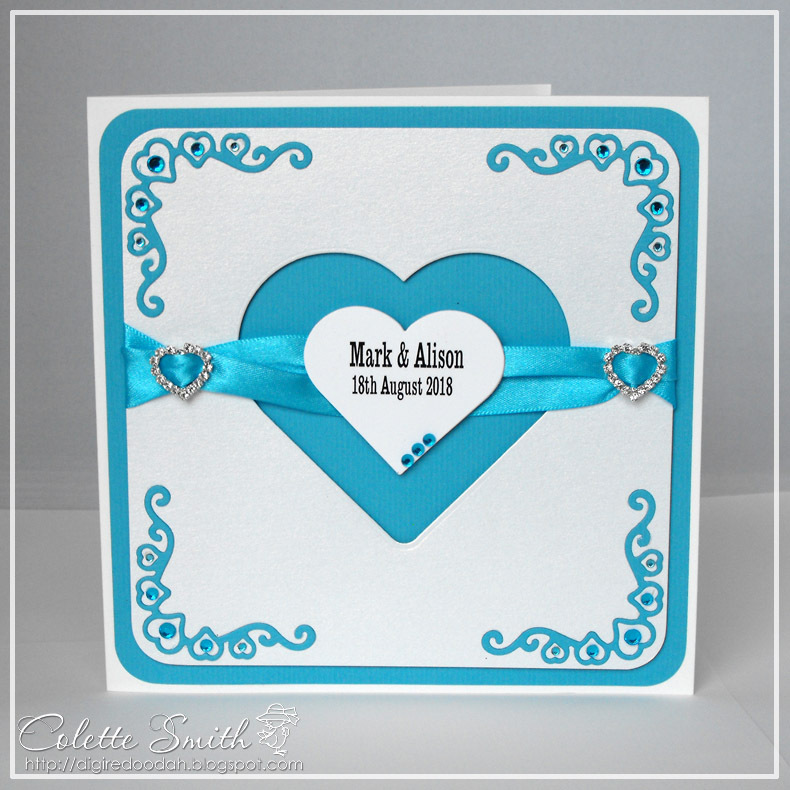 Here I've used 25mm satin ribbon and a double heart diamante slider. 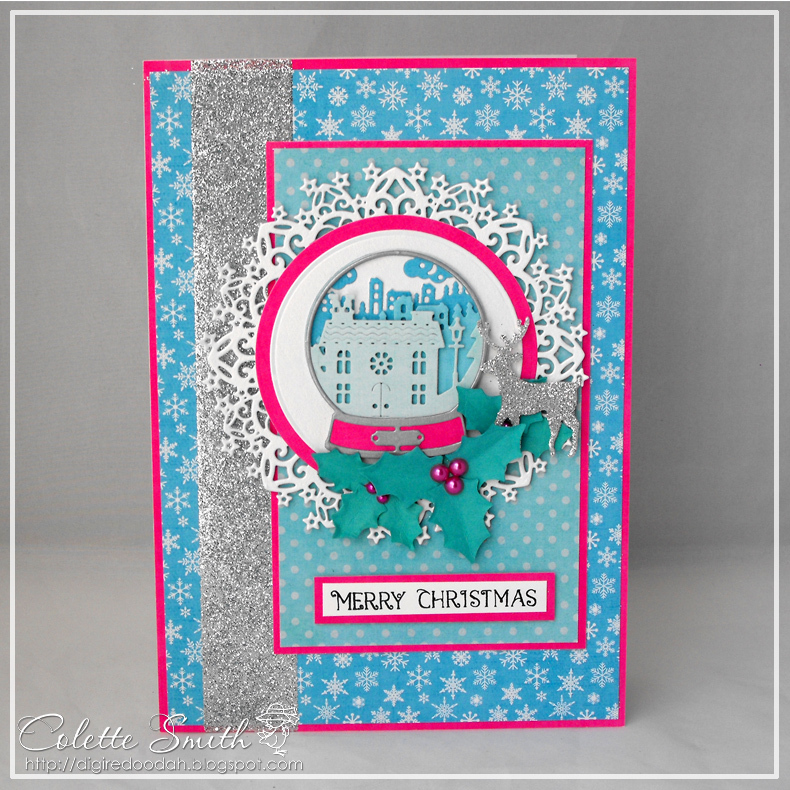 the silver glitter panel is actually wallpaper! As well as a Sizzix heart die and LaLaLand crafts heart corner die I have once again used 25mm satin ribbon, diamante heart buckles and stick on gems in varying sizes. 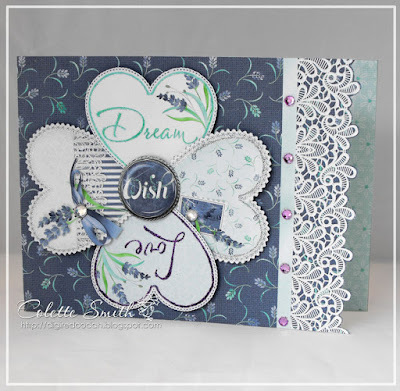 Today I have some cards I made for DCE special issue 5 (which came out last week) using the free dies that come with the magazine. 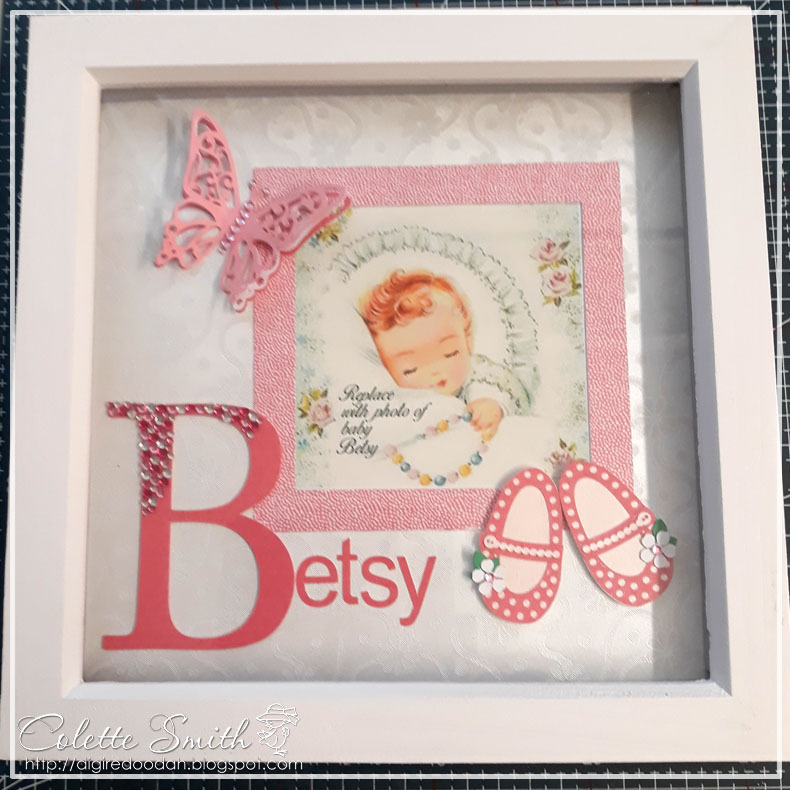 I used a large pearl from a mixed size pack for the large flower centre and smaller pearls for the other flowers, the butterfly has 2 black stick on gems for his body. 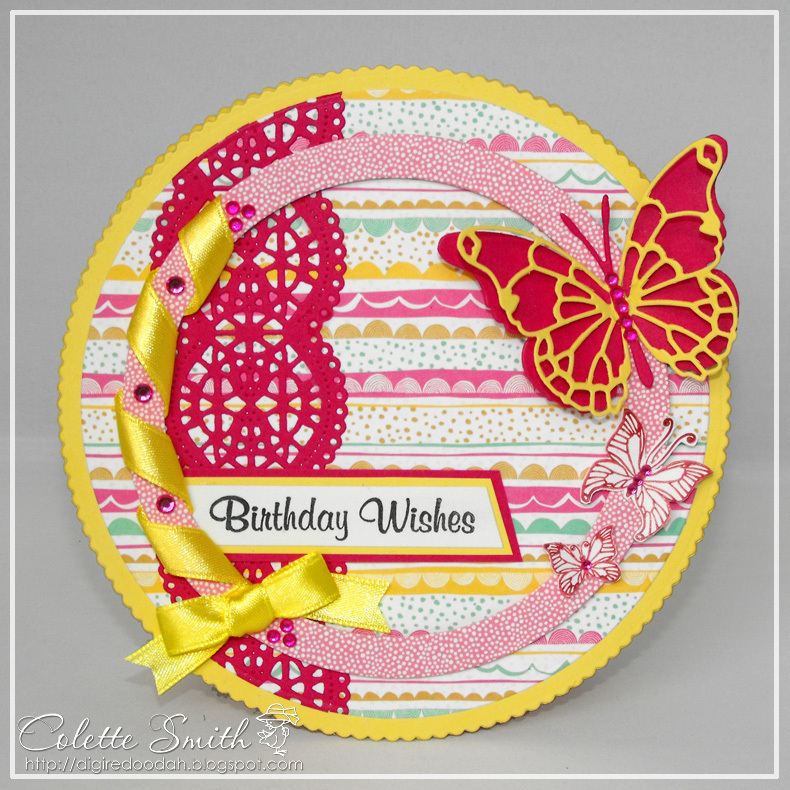 As well as gems on the butterfly I have dotted AB gems amongst the die-cut corners of the aperture. 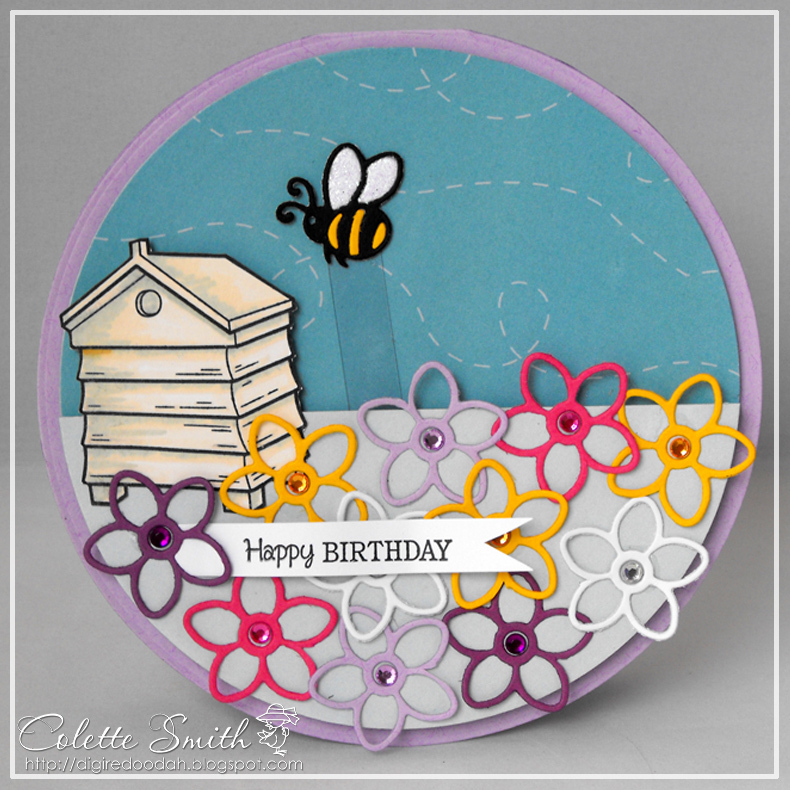 I recently did a magazine commission which involved making some cards for the Tonic Bookazine which came into the shops last month, here I have a couple of the cards using the included kit and Meiflower stick on gems. 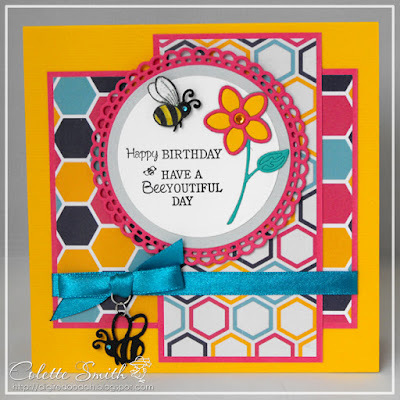 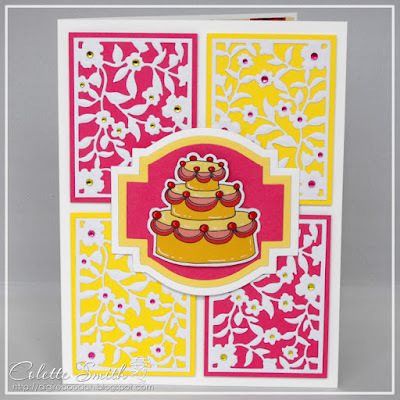 I die-cut the filigree panels and added pink and yellow gems to the centres of the flower. 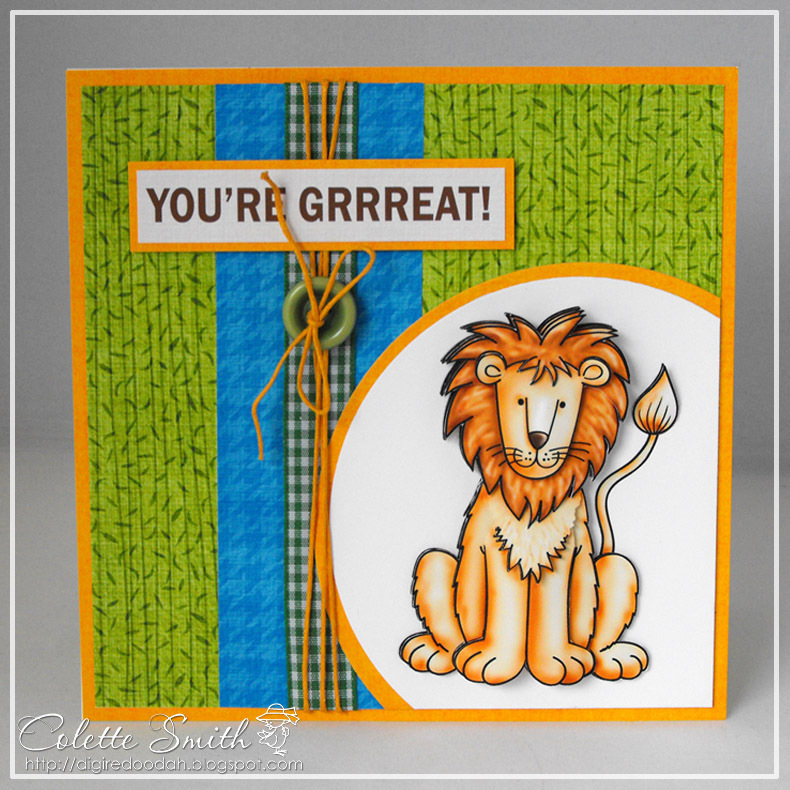 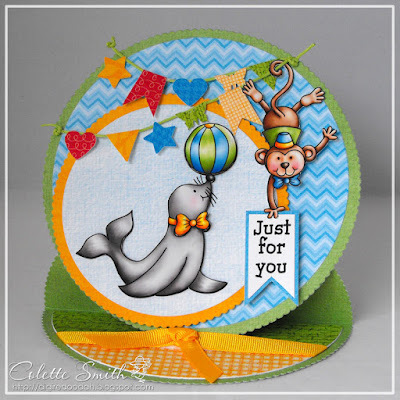 I stamped the bunting, balloons and sentiment, drew in two curved lines, using a plate as a template, arrange the bunting across the lines and topped each one off with a matching coloured gem. 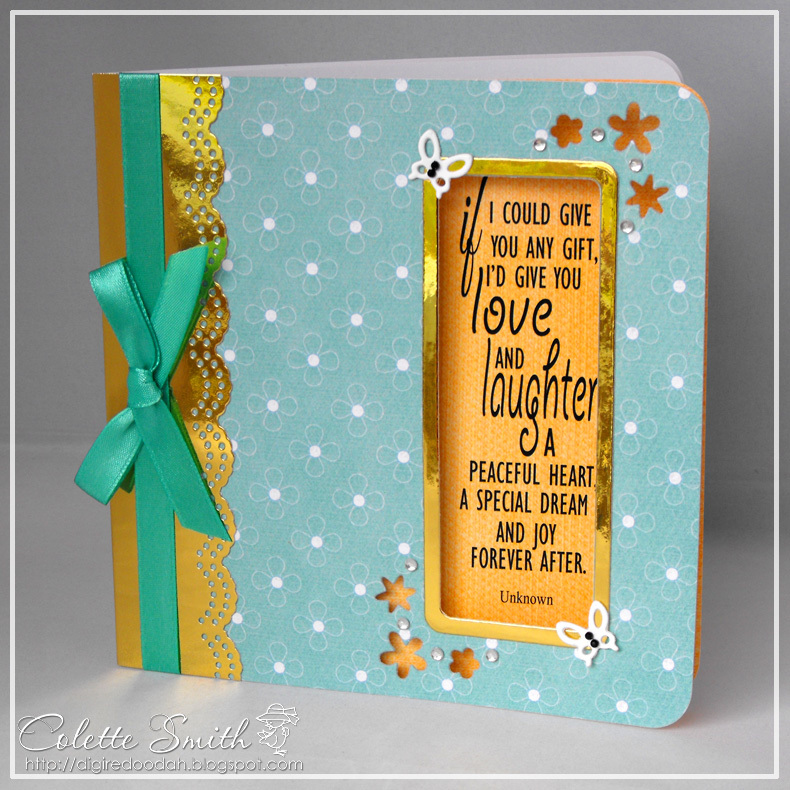 I was asked to contribute 5 cards to the latest Joanne Sheen Bookazine, which is in the shops now. 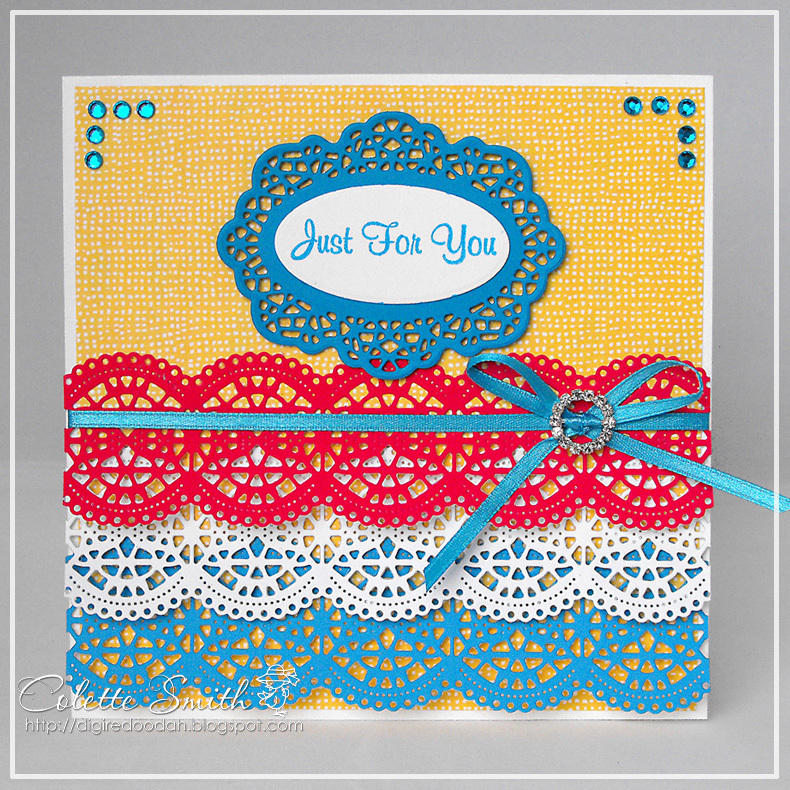 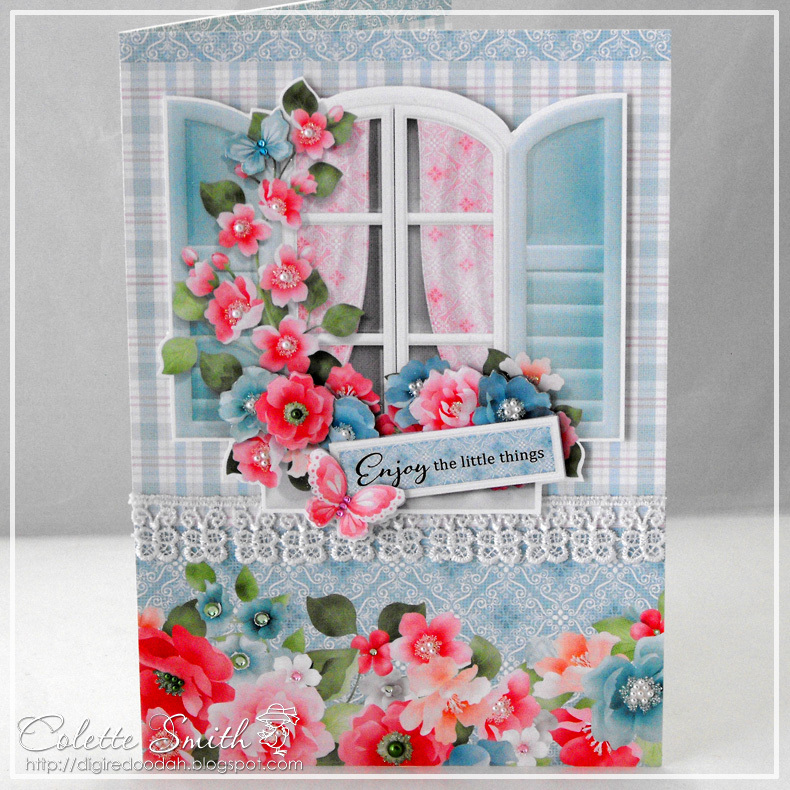 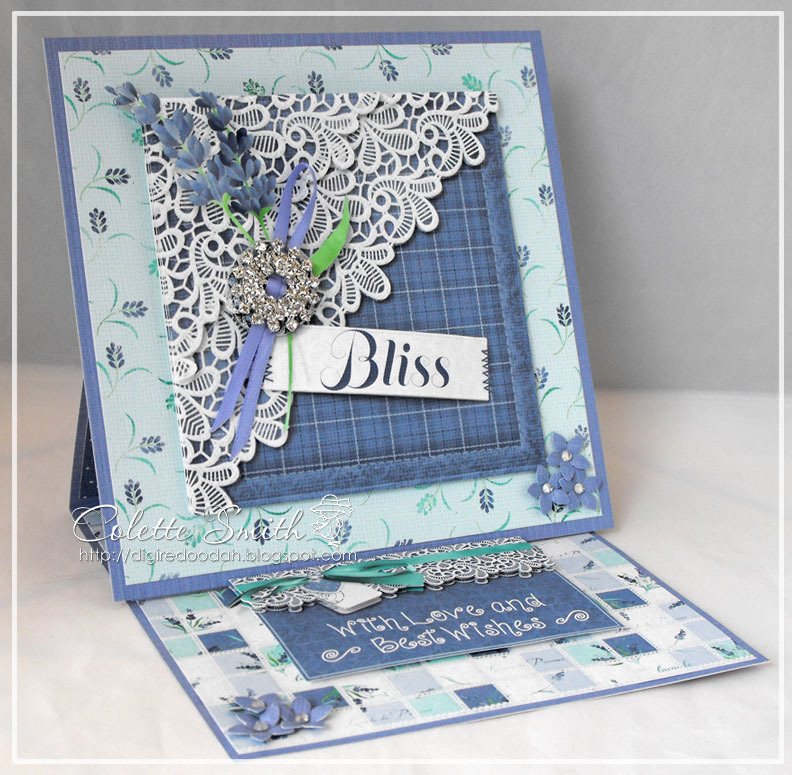 The bookazine comes with a free kit, which includes the ribbon lace die, stamps and embossing folder that I have used in the cards below. 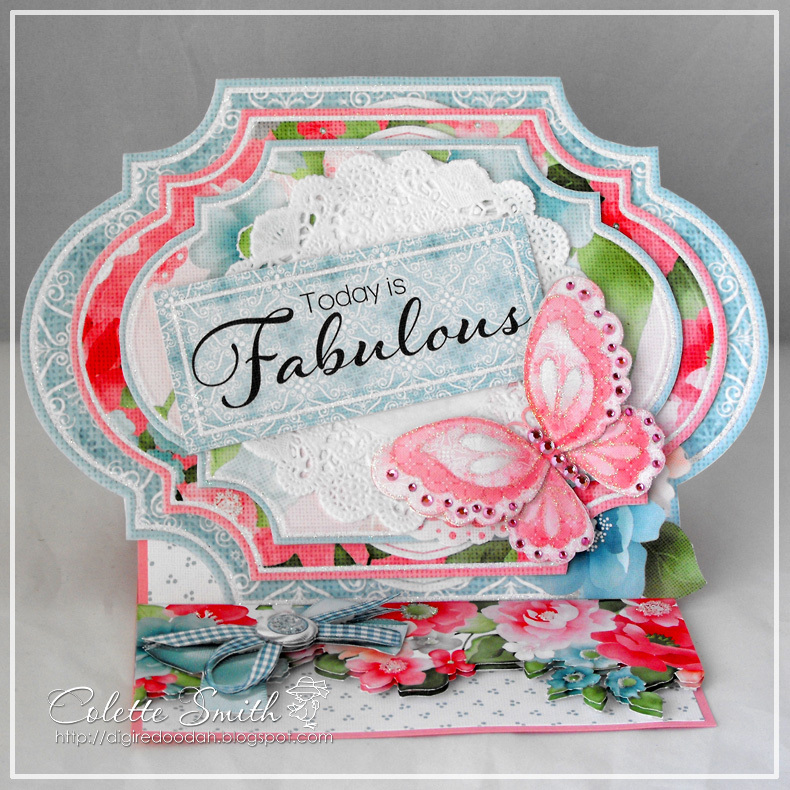 I have 3 of the cards to show you today and the ribbons, gems and diamante ribbon slider all came from Meiflower. 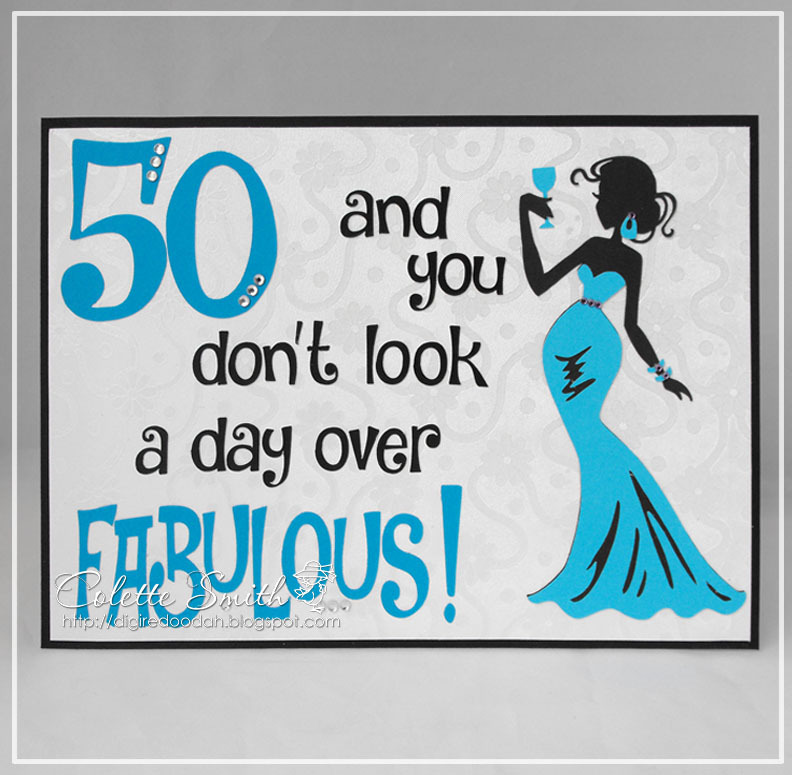 Meiflower have a fabulous selection of ribbon and gems and in lots of different colours, if you can't find what you are looking for on the website, just give them a call or send an email, I'm sure they will be able to help you.